Used car buyers want an easy life, which is fair enough, except that I think that the process never ought to be too painless. After all, if you get complacent, that’s when mistakes get made. Anyway, I notice that there are more companies piling into the ‘guaranteed online sale with added easy finance’ market. This is nothing new; over the years, I’ve looked at countless e-commerce ventures that tried to make the whole used car buying thing less stressful. Many of those companies no longer operate. Let’s look at the ingredients of one I stumbled across the other day. For starters, it offered vehicles that had undergone a professional inspection, which is good. The prices of the vehicles online were presented as monthly costs, then a personal loan robot did all the financial ruminating on your behalf once you had entered all your details. Now I understand why some of us need loans to buy cars and there may be some very good reasons to do so. However, I would like to politely suggest that, ideally, we ought to save up and spend what we’ve got, rather than pay interest. The site I looked at was very good and easy to use, but when I found a 2016 Vauxhall Astra 1.4 petrol in Elite trim with 12,000 miles on the clock at £162.91 pcm, it seemed too good to be true. You had to put £100 down and the balance was to be paid over a mere 84 months. So you’d be financing the car’s overall cost of £10,900 at 6.9% and the actual cost of borrowing was £2784.44. Obviously you could adjust all the elements, such as the size of deposit and the number of months for repayments, but almost three grand for the finance looks steep. Surely we can buy a clean, inspected car outright for that? For £2500, a cute Hyundai i10 1.1 Edition from 2010 with 80,000 miles, including recovery and a six-month warranty, is a good way to stay reassuringly mobile. Plus, the car I found was inspected to the same standard as the vehicles offered by the online people. Not everyone can cram their family into a tiny Hyundai, so maybe the Honda FR-V will do. It was properly inspected and, despite coming from 2006, was up for almost £2600. It had 98k miles on the clock and was a diesel in Sport trim. Is there anything really interesting out there? Well, I rather liked a sporty Honda Civic in the shape of a 1.8 i-VTEC SE. Coming in at £2600, it had two previous owners who had run it up to 90,000 miles with plenty of care and attention. Many online companies promise to take the fuss out of car buying, but you end up paying more. Think wisely and you can save a bundle. 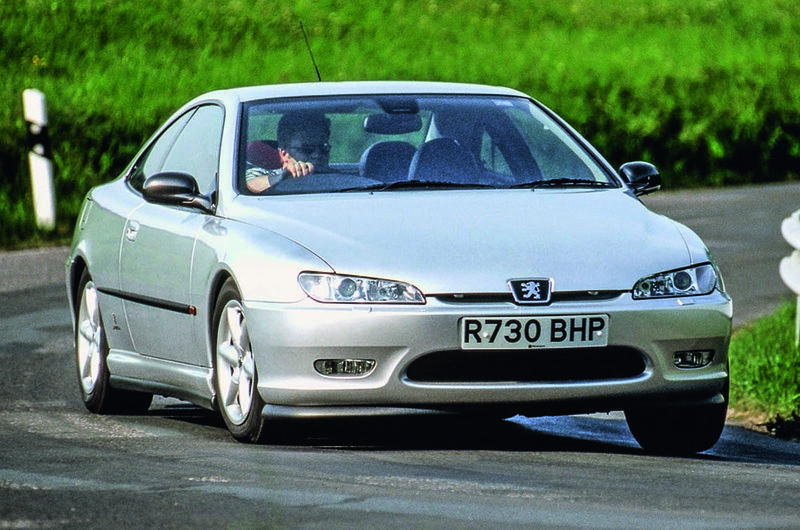 Peugeot 406 Coupe - This pretty Pininfarina-styled coupé is going for peanuts. Even a 3.0 V6 can be had for less than a couple of grand these days and with tight handling, a sonorous engine and, of course, those looks, it makes a deeply tempting used car. Avoid the 2.0-litre petrol and all the diesels, because they just don’t feel special enough to drive. Volkswagen Golf - Mileage, 39,722: Days after an errant trailer wheel got stuck under the Golf, the car’s regular driver, Ruppert Jr, and I spent some quality time checking that all was well underneath. It was also a good time for me to explain where axle stands should go. After all, she will inherit mine eventually. Well, we clipped the Golf’s plastic panels back into place correctly, but there is certainly a hole in one. We have to make a decision about whether to buy a second bit of underside shroud and get it in place before winter arrives. At least nothing important such as a brake or fuel line was ruptured. 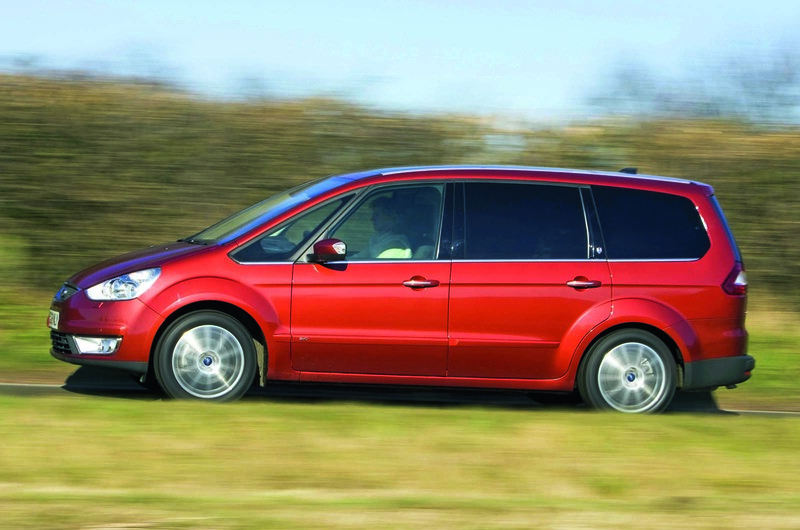 Ford Galaxy - That it is Britain’s favourite people mover by some sales margin is no surprise. The Galaxy is big, but it certainly does not feel like it when you’re behind the wheel. The responsive power steering and light gearchange mean it is as easy to drive as a Mondeo. The seven-seat option makes sense and any of the rear five seats can be removed. The 2.3 petrol is a good combination of performance and economy, although most would go for the 1.9 diesel. £795 buys a 2003 2.3 Zetec automatic with 104k miles and a service history. I agree with many of the sentiments here. In particular, buyers really need to look beyond the monthly costs and look at the whole life cost of running a vehicle as the professionals do. And there's a lot to be said for the maxim, that if you need to borrow money to buy a car then you really can't afford it. That said, I'm sure there may be some really good low interest PCP deals out there - and if they enable someone to buy a newer more reliable cheaper-to-run car, then why not. Perhaps the golden rule is that there are no rules at all, and buyers should use common sense and a calculator to work out the best option for themselves? Maxims do not put food on the family table, so if buying on credit means that employment continues, then that is the clear choice to be made. ....when I bought a Lexus IS300H (3 years old, 50,000 miles) with full service history for £15,000 cash was a picture of despair. I didn't buy the GAP Insurance, Smartshield and Smart (Paint Repair) Insurance from him either despite his "But we always add £1397 for those!" so he didn't make the £800 or so profit on those either. A year and a half on and the car has been faultless, perhaps not James Rupert's Bangernomics, but i intend to keep it at least 10 years. Thing is pretty much all cars these days are fantastic compared to 20-30 years ago. 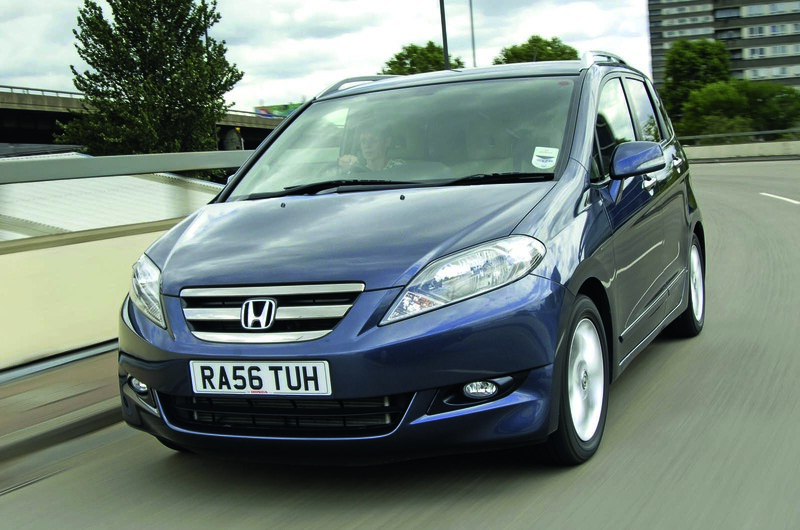 A 10 year £2000 Swift will serve you well for another 5 years and 40,000 miles. A 10 year old 1 series BMW's can still look like a posh new car with personal number plates on and a 5 year old MK3 Focus is bargin compared to a new one. So James has never ever financed a car? Never found himself with a need to buy a car, enough income to pay a monthly, but without a few years buffer to save up £15k? (Or seeing savings needing to be put towards a house deposit, say)? I'm not one for PCPing up to the eyeballs to buy a status symbol, but find this article an incredibly patronising piece. You are redeemed by mentioning the 406 coupe, a future classic. And high mile Jag XFs - all those shiny dials and switches etc. soon wear fairly badly! No I don't think it was. There will be some who find themselves in a situation where they need a car and can only afford it on finance. Fair enough. But many seem obsessed with having a new car on their driveway and only look at the monthly payment rather than the whole term cost. Buy something more affordable and then save each month the money you would spend on finance to build up a nice lump sum and spend that on your new car. To save thousands on finance costs is worth delaying that new car you've always dreamed of in my opinion. I tend to keep cars a long time, so I haven't bought many in my 20+ years of car ownership. However my rule has owing money on a car more than 4 years old is a mistake, so a new car could be bought over 4 years (but if on PCP I must also put in place a method to pay the balloon payment), but a 2-year-old car would need to be paid off in 2 years, and a 4-year-old car bought with cash. The other thing I look at is paying enough of a deposit to minimise the risk of negative equity as much as possible. An 84-month payment term for a car that is already 2 years old is ridiculous. After 5 years of payments, there will still be about £3600 outstanding, on a 7-year-old car (and possibly a penaltly to pay if you want to settle early to change the car). The inductive proximity sensor can be used to all kinds of sensor metallic targets only. The main components of the inductive proximity sensor are coil, oscillator, detector and the output circuit. The coil generates the Nagano keiki Pressure sensor high frequency magnetic field in front of abs speed sensor the face. When the metallic target comes in this magnetic field it absorbs some of the energy. Hence the oscillator field is affected. This is detected by mazda 6 suction control valve . if the oscillation amplitude reaches a certain threshold value the output switches suction control valve .